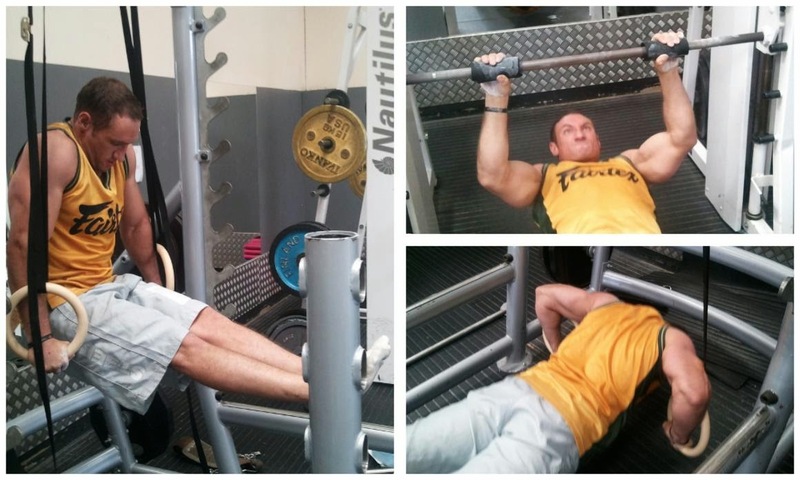 Tim Stokes, A client with very favourable leverages practicing L-sits and ring push-ups. At the moment across social media Im seeing a lot of posts about Ido Portal, primal movement, holistic movement and the idea that these are somehow superior to conventional strength conditioning. The concept of holisms in movement attracts fitness yuppies with money to burn and what I’ll call “fitness free thinkers” like pigs to truffles. In a recent scramblog post I cautioned against getting caught up in pseudo scientific methods. In the past we’ve seen these types of coaches with a holistic USP such as Paul “astral projection” Chek, who is coined the father of core/functional training (Im sure Vernon Gambetta, Gray Cook and Stuart McGill would be better candidates) using the alternative therapies badge to push his methods. A beautifully edited video with nice Tibetan chanting doesn’t measure your value as a coach either(looking at you Naudi Aguilar) which is another promotional means. The same goes for those displaying various skill in video’s themselves, someone’s ability to train themselves while important is not a measure of their ability to train others either. These people are master image crafters and Ido is no different. Conceptually I really like what is being said. The buzz around Israeli Ido is enormous with him hosting seminars all over the place. The price can be steep however, but the feedback seems largely positive. While there are other movement experts Ido is the most prominent and expensive it seems. Somewhat polarising hes made fast enemies of vegans and crossfitters criticising them both. What doesn’t seem to help is Ido and other movement practitioners, keep their methodologies opaque and make heavy use of obfuscation in their language when discussing what they do. I know this lack of clarity ruffles the feathers of friends in the gymnastics, freerun and parkour crowd. I recently listened to Ido talking on London Real and while I found myself nodding in agreement with his sentiment, I was clutching at straws to pin down what his method was. Convenience of the vague maybe or maybe I’m just being dense. I just find the whole thing nebulous, when you start using vague neuro-physiology sprinkled with rehabilitative jargon as justification for what you do, you enter Depak Chopra and quantum physics territory. The thing is this, you present the idea that you possess a knowledge base that only you can teach and enact. Or as one of my twitter followers put it “justify their jobs by pretending they possess secrets/knowledge that only they can translate and apply?” very possibly. We had this when the Iron Curtain fell and suddenly every ex-soviet coach had Russian training secrets to sell. More over what irks me is the amount these people charge for their services. Problems with strength and conditioning from a movement perspective. There is a certain amount of indictment of strength and conditioning coaches from the “movement” crowd and its true, there are coaches who appear to let their powerlifting and olympic lifting biases control them. The Americanisation of S&C has probably not been particularly helpful, as it is heavily dominated by bench, deadlift, squat and bodybuilding approach which has proliferated all over the internet. What happens is a drift away from holism we further create mini powerlifters, mini Olympic lifters, strongmen etc the. A prevalent “get them strong let the sport sort em out” attitude isn’t helpful either. When we see displays like the above I can understand the undercurrent of willingness to reject mainstream strength and conditioning convention. However often it’s a case of difference for the sake of difference. A good strength coach IS holistic its at the core of what we do. It’s just that some see it is STRENGTH and conditioning rather than what it is, physical preparation. I think maybe the confusion stems from what a strength coaches purpose is. My personal definition is; A strength coaches job is varied application of stress to basic movement patterns to bring about systemic adaptation that allow athlete to better handle stress of sport. What are the basic movement patterns? If you ask Dan John its “Squat, Hinge, Push, Pull, Carry”, if you ask the primal movement people is “Squat, Lunge, Push, Pull, Bend, Twist, Gait”. Now what Ido seems to be concerned with is the movement between these movements and the integration of these things. This is a notion that is hard to determine, it does allow for goal post moving in terms of objectives and outcome from training, measurability being crucial in S&C. It was this video that someone sent me that first made me aware of Ido portal. Personally I don’t think this is good preparation for combat athletes, I do however use some low level gymnastics and suspension work with my athletes and context of video is hard to grasp from 5 minutes of video. Collision sport athletes need stability and hypertrophy (see dan john vid below). Now before you mention the letters GSP, George had a foundation in lifting from Joel Chaimberg and Pierre Roy before taking on gymnastics type work. Ido also makes a point of being not an athlete, but an artist and generalist, this is key. Art is only given value by the observer where as athletic movement is about efficiency. The athletes physical preparation model needs to be like a pyramid it always has to have a base but it also needs a point! Athletes must specialise because their lively hood comes from being a specialist. But we know that the best athletes are the one who in their youth developed high movement literacy, by playing multiple sports and engaging in multiple activities. Ido and others talk about foundation of movement but at what point does being able to squat to being able to do Cossacks become a specialism? Or being able to do hand-stand into single handed hand stands or HSPU become specialism. Mastering these skills pose a risk of becoming a time sink that could be spent doing other things. The other thing I see movement experts tout is what im calling the “The gymnastic fallacy” is the idea that gymnasts are the most complete athletes. It is similar to the “Olympic lifting fallacy” touted by oly coaches that their athletes are the most powerful. The notion that because one set of athletes displays mastery over a domain of movement or force expression means that this would translate well to other sports. This does’nt work because it does’nt respect required task specific performance, skill acquisition and respective anthropometries (limb/torso lengths) of athletes. For instance being light helps the gymnast to achieve a high strength-to-weight ratio, and being small helps with rotational skills. Olympic lifters also are smaller athletes with excellent lifting leverages. 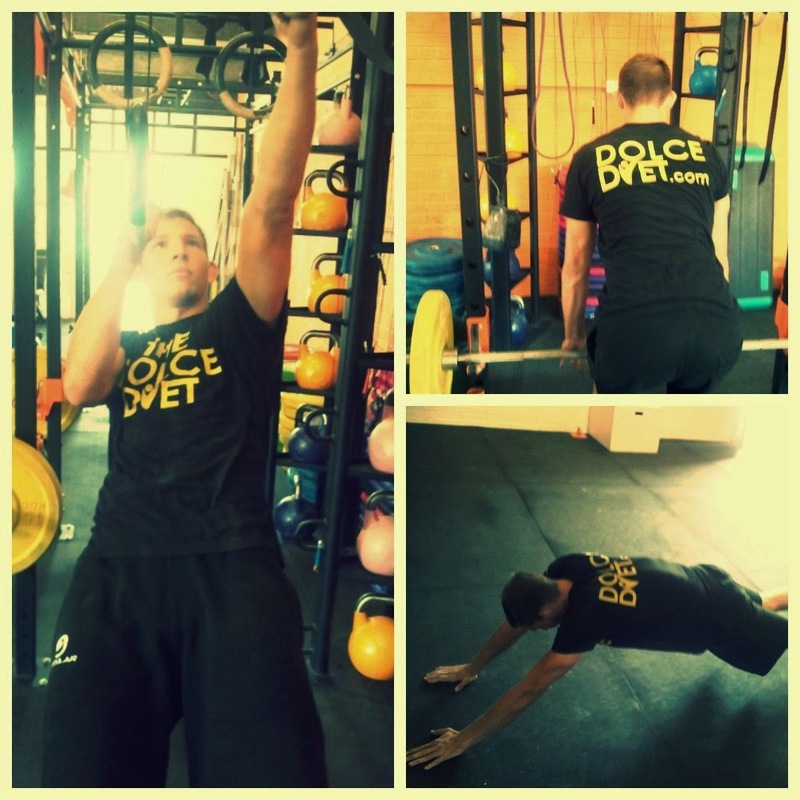 You have 2-3 hours a week in which to get a 6’9 110kg basketball player to improve his performance are you going to do planche straddles and handstand push-ups? Or do something that helps him put force through the floor and make it through a playing season. Anthropometrics have a larger effect on our movement biases than you can imagine. Vernon Gambetta talks about the notion of focusing on what they can do not on what they can’t. Ido talks specialism having a trade off, we know this, the athletes knows this. Training for well-being is not the same as performance. Dan John explored this in one of his intervention video’s the idea that we spend our post athletic career undoing the damage of career in sports. Now before we play necromancer and resurrection the old the bodyweight vs resistance training dialectic, we love dualism which is weird because the intent is holism, but most coaches know that a foundation of bodyweight movement is crucial. The patterns mentioned earlier are developed initially with bodyweight alone. Most decent programs will have you dipping, chinning and doing pull-ups. Even Ido suggests squatting and olympic lifts for gross lower body training. The notion of having fun with physical expression vs performance to perform work is important and I feel one of Ido’s most import messages. Physical expression and self mastery are intrinsically very important and extremely satisfying, its the same reason why Scrambler Dan Strauss bends stuff. I recently took it upon myself to get good at one armed push-ups, it took about 1.5 hours spread over 4 weeks to go from incline reps to floor reps. My upper body strength did’nt really improve but my core strength shot-up, but most importantly I had fun! And better yet I did’nt pay someone thousands of pounds to show me how. Methodological silver bullets just do not exist, good athleticism is built on a foundation of movement but what determines good movement is down to the coach. While I like Ido’s message of reconnecting with physical expression and movement and the idea’s of squatting everyday and hanging for shoulder health. His methodologies are somewhat confounding and vague. Just remember it’s exercise (sorry movement), not making world peace.